Ships tomorrow if you order in the next 18 hours 16 minutes. Auto Ship & Earn + 127 Points What's this? Matcha, an authentic and organic Japanese green tea has been used for thousands of years as a way to boost overall health and wellness. It has been known to provide a number of health benefits, and is one of the healthiest superfoods in the world today. If you're looking for a way to improve your health, Pure Synergy's Organic Matcha Power is a great option. This matcha is harvested by hand in the early spring from the youngest sprouting leaves on the heirloom tea plants. Just three capsules of Organic Matcha Power are equal to multiple cups of the healthiest antioxidants in green tea. Give yourself an overall health boost. 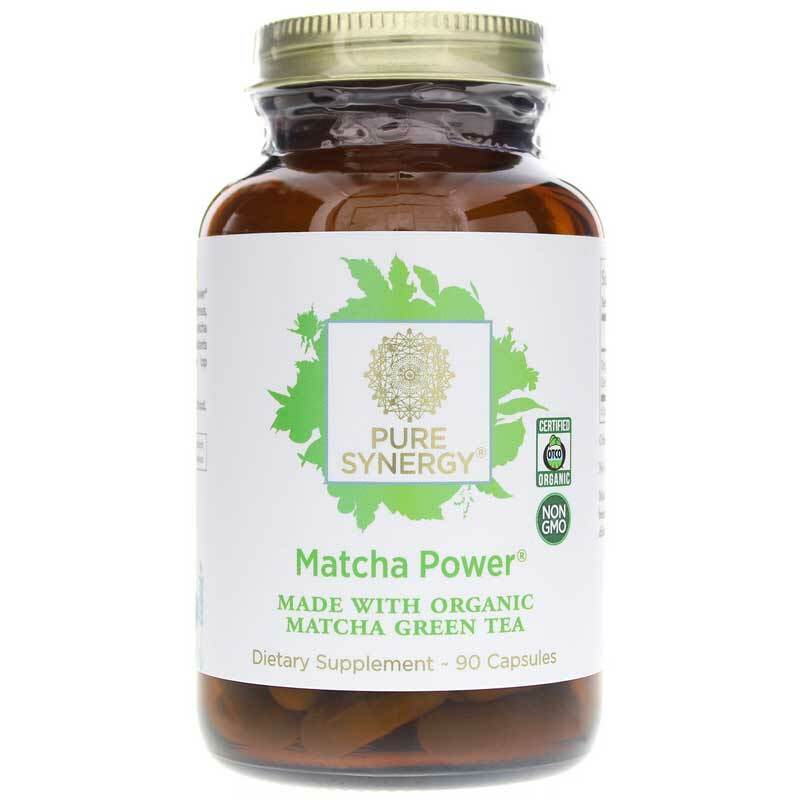 Try Pure Synergy's Organic Matcha Power today, and see the difference it may be able to make for you. Order now! ---Matcha Power is a naturally occurring source of beneficial and balanced L-Theanine, Catechins, Caffeine, Chlorophyll and much more. 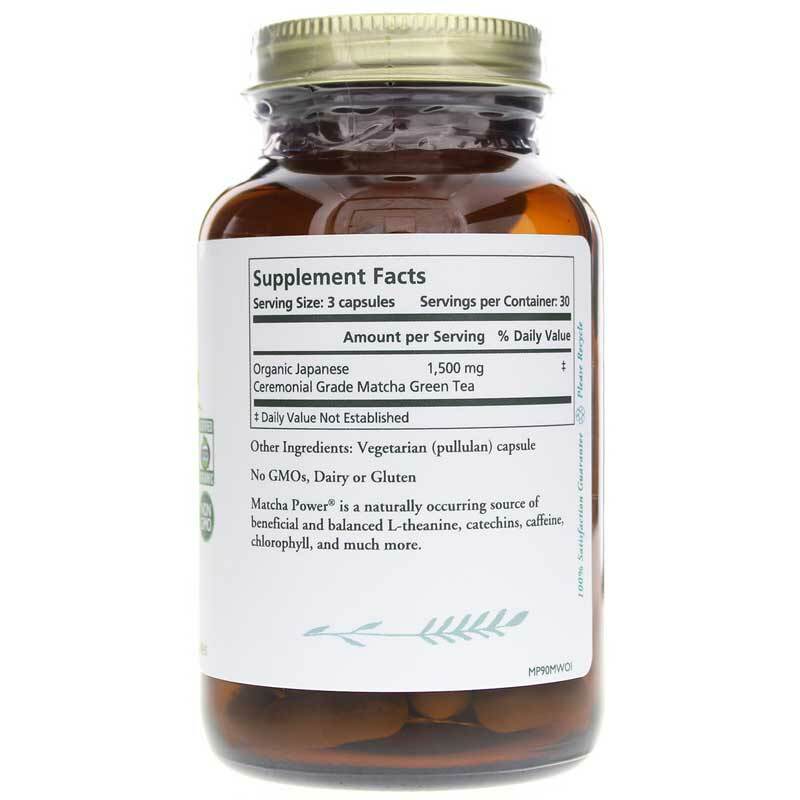 Other Ingredients: certified organic vegetarian capsule. Contains NO: gluten, dairy, additives and GMOs. 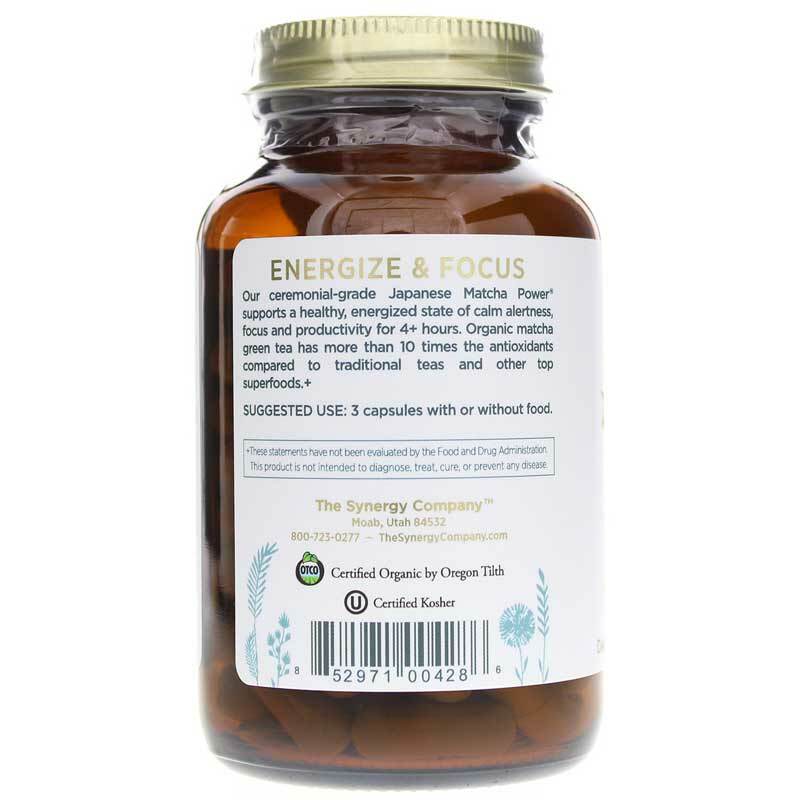 Adults: 3 capsules to support your overall level of energy, focus and well-being. Additional capsules may be taken as desired.